Another perfect picture book from the creators of the bestselling Where is the Green Sheep? Bonnie and Ben have a favourite babysitter whose much loved stories ensure a wonderful whimsical world before bedtime. 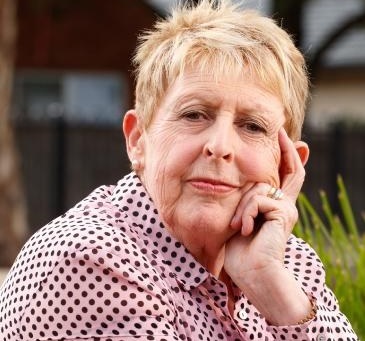 Mem Fox is Australia's most highly regarded picture-book author. Her first book, Possum Magic, is the best selling children's book ever in Australia, with sales of over four million. Mem has written over 35 picture books for children. Judy Horacek is an Australian children's book creator cartoonist, artist, and writer. My one year old daughter loves this, it is currently her favourite bedtime story. It has a great pace and sound to it, as well as parts where you sing well known nursery rhymes as part of the story. The pictures are also very engaging. This is a brilliant book for parents to read to their young children. After they have heard the story several times, children can read it independently. It has rhyme and rhythm and is full of fun. As a teacher, I use this book on a regular basis and my class always asks for it over and over again. I bought a copy of this book for my student teacher, so that she had a valuable resource to use for her years as a teacher. I bought this for my new great niece - it's a perfect bedtime story..
My kids love this book as each song/ rhyme is so recognisabke that they always join in. Fabulous book!